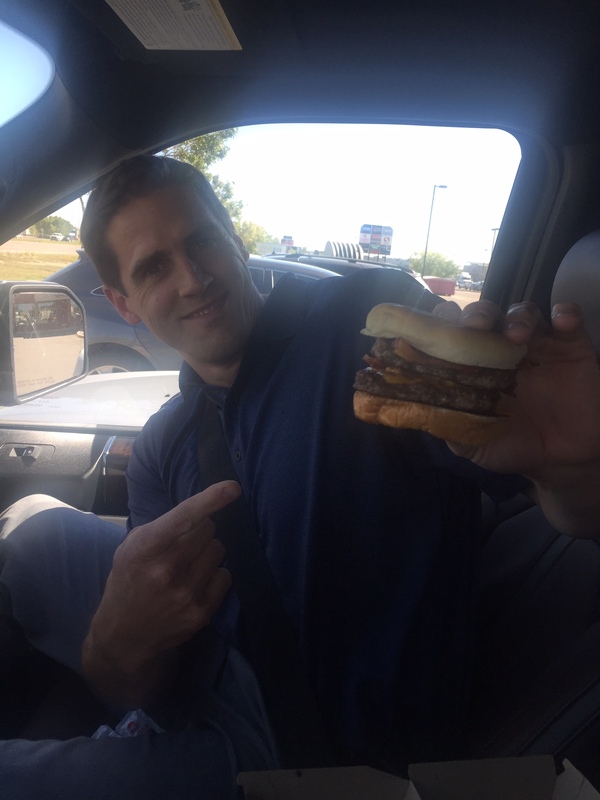 That is why I took my kids on a reconnaisance mission to test out a few drive thru burgers and shakes before the main event. 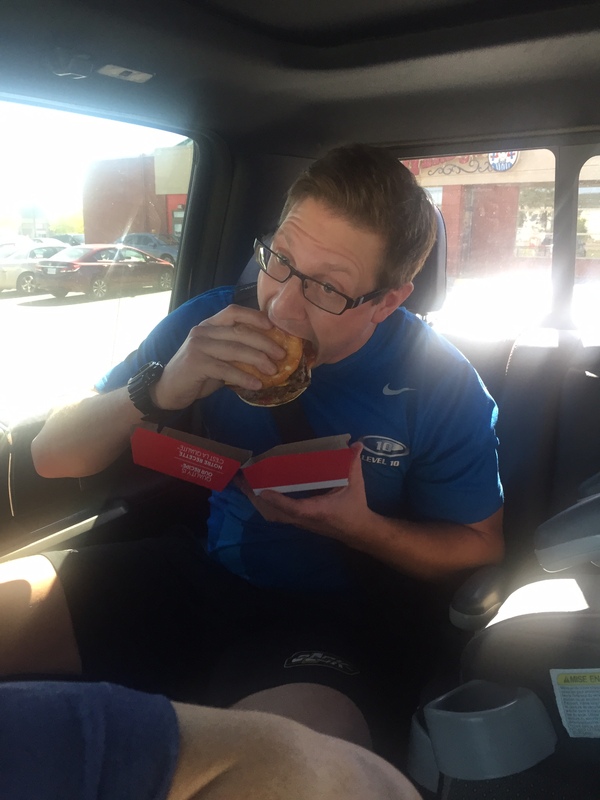 Call it the preseason for BS Double Drive thru, call it research and development or call it lazy parenting when dad has to feed the kids: All descriptions are accurate. No matter what you call it though, it stacked up to a big win on game day. Always hot, always fresh and always 2 patties and lots of applewood smoked bacon. Its a can’t miss when you want a good burger from the drive through. It is my favourite fast food burger, so I knew what I was getting myself into and hoped my fellow founding members of BS would share the same sentiment. It was perfect. Best Baconator I have ever had, which led me to circle the top score taste (#10) while still reeling in the euphoria of beef, cheese and bacon. This led to a debate, quite heated actually, in reaching the penultimate score for taste when judging a burger. The score of ’10’ leaves no room for improvement, no hope for untasted burgers the world over. I agreed with the very passionate and loud Mikey, and edited my taste score to 9.25. I also plan to get a tattoo on my arse with a picture of Wendy herself, holding a Baconator and wearing a hat that simply says ’10’. That way, when I’ve tasted my last drive thru burger and none have topped the mighty Baconator, then Mike can pucker up and give Dave Thomas’s daughter a big wet kiss. 4 solid flavours to chose from. Vanilla, strawberry, chocolate and OREO. I loved the chocolate shake during my research phase, but I cracked under pressure on game day. We all went with OREO. 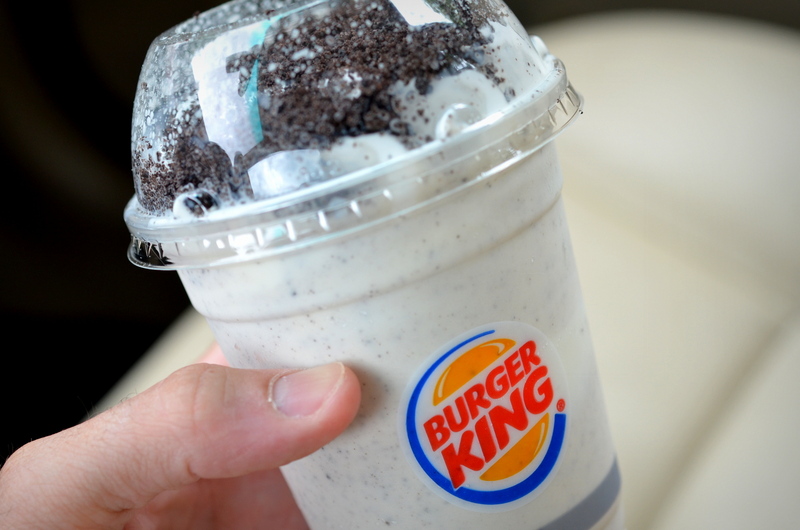 Very good shake: Thick, whipped topping, large OREO chunks. It beats most shakes and definitely most OREO versions. My own decision to not go with chocolate hurt my score. Danny Y barely came up for air, he may have actually gotten his milkshake pregnant in hopes of having little baby milkshakes later in the day (milkshakes don’t carry for a full 39 week term like humans, but this is a blog not a science class). Mikey complained at random about the taste of vanilla and blah, blah, blah until finally letting the sour taste of the almost perfect 10 debacle leave his bitter mouth to enjoy the masterful OREO shake like the rest of us. Notable: Mikey is a jerk. Danny Y left a mess in my backseat. Burger King marrying Wendy just makes sense – beat it Ronald. Wendy can’t resist the King. Have it your way!